Who’s responsible for this craziness? 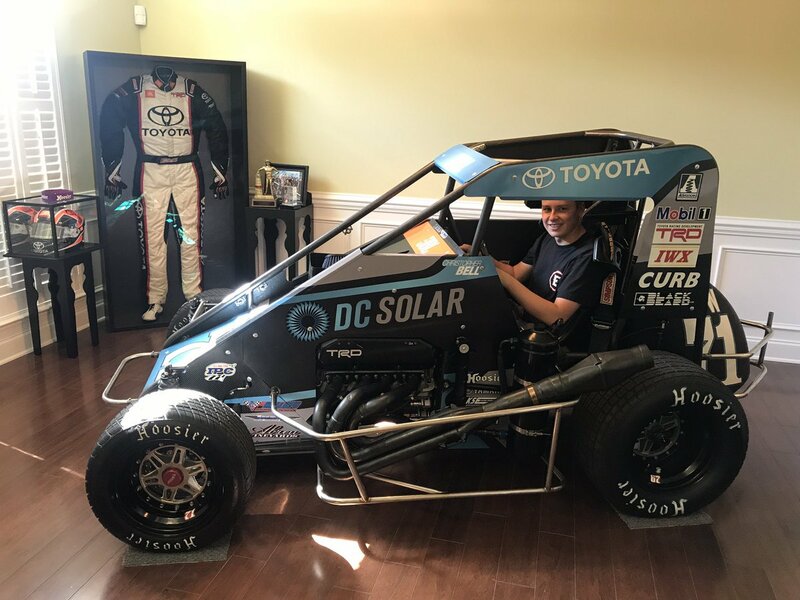 None other than NASCAR Truck Series driver and 2017 Chili Bowl winner Christopher Bell. In January, Christopher Bell threw a slide job on Justin Grant at the Chili Bowl. That turned out to the be a race winning pass that netted Bell with a win at the Chili Bowl. 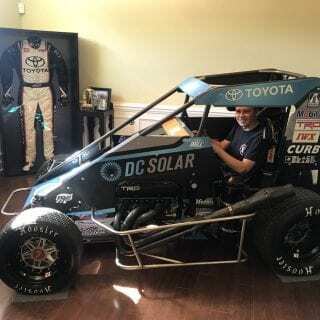 Today, that car sits in the dining room/trophy room of the NASCAR drivers house. 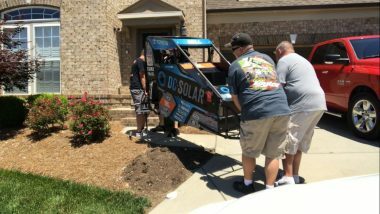 It’s not easy to put a dirt racecar inside your house. Specifically, it’s difficult to get passed the first step, the front door. 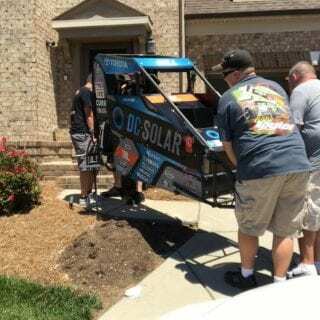 However, Andy Gee, Brian®Dunlap, Ross Wece and Morgan Kemenah were all there to help get it done. The physics don’t add up. 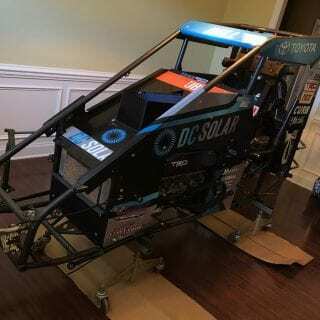 Dirt Midget width, minus door frame width, the result is negative numbers. So how did they do it? It’s fairly simple actually. Thanks to Ross Wece, you can watch the whole thing take place, in time lapse fashion. Ross Wece is the video guy for the World of Outlaws Sprint Car Series. The dirt midget rests in stark contrast to the somewhat traditional architecture and color scheme of the house. But that’s nonsense talk. Who really cares? 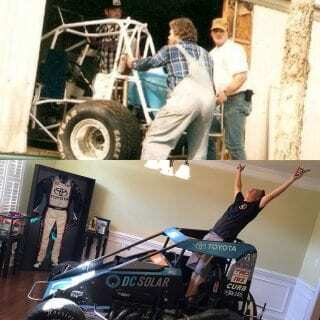 Nobody said racers were normal humans. It’s the best looking room in the house. 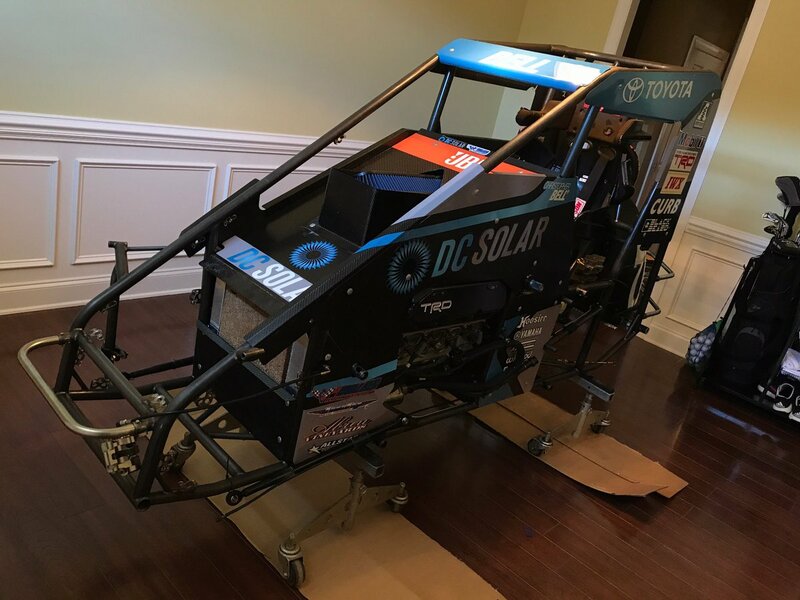 Watch the video below as they installed the dirt midget racecar in the dining room. So how do you get a Midget in a dining room? You take it apart and then put it back together.